There is undoubtedly more choice and a freedom of choice in the non prescription diet pill market place. The prescription only genre has very few offerings and all based around pharmaceutical drug compositions. Xenical is by far the most frequently and commonly administered diet drug – although not completely side effect free it offers sufferers of obesity a high chance of weight loss success. Visiting your GP or doctor and simply asking for a diet pill via prescription is often met with disappointment. In order to qualify for a prescription there has to be sufficient reason – it is highly unlikely that you will be prescribed anything unless you are classed as very over weight or obese. In most circumstances if your Body Mass Index (BMI) is over 30 – you may well be considered for a course of Xenical. 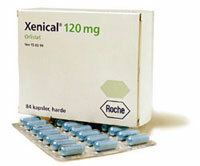 Xenical is the trade or brand name of the chemically produced diet drug Orlistat – Orlistat is an extremely strong fat blocker that can prevent the absorption of unhealthy and excess fat from the food that we eat. A fat blocking genre of diet pill that can prevent the absorption over a quarter of fat attached to food consumed . It does not suppress appetite, effect the metabolism or have any affect on the brain – it is purely a digestive process that tackles the problem of obesity head on and at source rather than treat the after effects of overindulgence or over eating. The undigested fat can then pass naturally through the body and leave via a bowel movement. There is nothing complicated in the process – if a dieter were eat his or her normal or usual food portion they would be better off by 25% in terms of introducing fat or calories of any kind into their body. It would be irresponsible not to highlight the potential side effects that could be caused – after all Xenical is a drug and not a natural or herbal product and so does contain a slight risk to health. One of the less severe side effects that has been reported is an increase in the frequency of bowel movements and an unusual or messy stool. Although this is classed as side effect it is a byproduct and effect of the drug actually working – undigested fat has to leave the body somehow. Another side effect that although not common but nonetheless reported is mild to painful skin rashes. This is one of the reasons it is vital to not attempt to purchase form any source, be it internet or high street – Xenical must only be taken under strict GP supervision. Xenical (Orlistat) is an extremely effective diet drug – it has been the GP recommended diet tablet and slimming pill of choice for many years. As Xenical is prescription only it is definitely not advised to buy or administer it without GP supervision. It is estimated that over 90% of the Xenical tablets that are advertised to buy freely over the counter or via the internet are either counterfeit or dangerous – or both. As described previously Xenical is not available to anyone – the fist course of action should be to visit your GP if you have concerns over your current weight. It is unlikely that your GP will prescribe (if at all) on your first visit. Ensure that you take with you (to your GP appointment) a daily food intake or dietary plan. PhenQ shares similarities with Xenical but is very much the natural alternative. PhenQ is a multi benefir diet pill that works in a similar vein by preventing the absorption of fat but without the potential side effects. 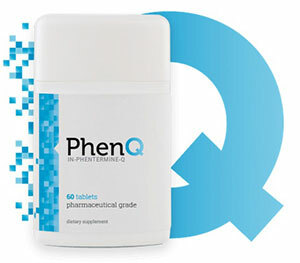 PhenQ is also a highly effective fat burner and appetite suppressant – it also has anti oxidant ingredients within it’s formula.